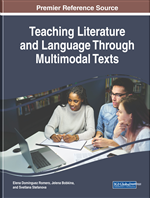 This chapter aims to develop a new analysis formula and a new language of literary school education/teaching literature, especially the language of reading engagement functionalized in terms of emotional, social, and cultural needs that literature is capable of satisfying. This applies also to young readers. The starting point is the specificity of emotional and sensory reception of literary narration (e.g. Charlie and the Chocolate Factory by R. Dahl) in which vivid, multisensory mental imagery absorbs/engages many readers (also on the principle of intersubjective cooperation). Discussion in this chapter is based on three issues: transactional theory of reading response (with aesthetic and efferent reading); individual, personal, and private interpretations; and analysis of types of affect in reception. It also proposes a description of the process of pupils' cognitive activities, recognize mental images, understanding metaphors, and express emotions. Involvement in reading can have an impact on the reader's identification with the fictional world and the protagonists inscribed in it. This process is clearly visible thanks to the strong interaction between words, images, and emotions, an interaction which allows not only the creation of new meanings and the development of imagination, but also challenges the reader to feel compassion towards the world rather than merely describe it. The project described in this chapter relates to the study of the impact of empathic reading on the recipient.